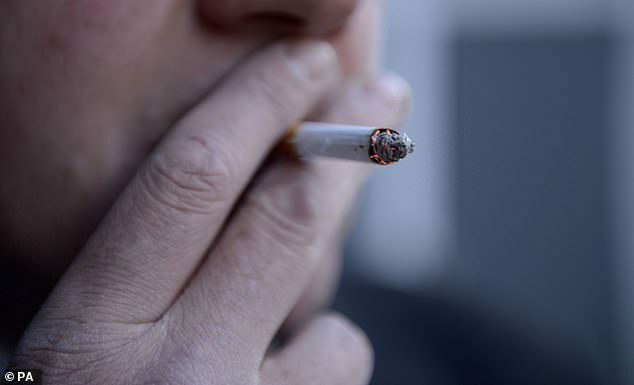 Heavy smokers may have to wait 15 years after quitting for their heart disease and stroke risk to return to a normal level, a new study has found. Previous studies suggest former smokers’ stroke risk stabilizes within five years, but new research shows it may take triple the time for those who smoked a pack a day for 20 years. After analyzing data on 8,700 people spanning 50 years, researchers at Vanderbilt found that among smokers there is a clear reduction in cardiovascular risk within five years of quitting, however it could take over a decade for heavy smokers’ hearts to rid themselves of the life-threatening damage of nicotine, tobacco, and the myriad of other chemicals in cigarettes. Unfortunately, this is the good news. The heart and blood vessels are the fastest to recover from smoking damage, explains lead author Meredith Duncan, a Ph.D. student at Vanderbilt University Medical Center, but full recovery could still take many years. Thankfully, one of the biggest risk factors – cigarettes – has been falling out of fashion since the US Surgeon General’s first report on Smoking and Health in 1964, revealing the true harm they deliver. As such, the number of former smokers is on the rise, but we don’t know a huge amount about what health risks (or lack thereof) they face. In recent years, some have turned to vape – a dubious and under-studied practice that has been shown to inflict the same chemical and addiction blow as combustible cigarettes. Many, though, went cold turkey, mostly to protect themselves and their loved ones from elevated cancer, lung disease, heart disease, and stroke risk. ‘There was a lack of information about what actually happens to people in the long-term based on estimates from rigorously collected data,’ Duncan told DailyMail.com. To investigate, the team pooled data from the Framingham Heart Study, which started in 1948 and went on to 1971, including two generations of people, nearly half of whom were smokers. Duncan’s team categorized ‘heavy smokers’ as people who smoked the equivalent of one pack a day for 20 years. Heavy smokers accounted for 70 percent of cardiovascular events among ever smokers in the study. After five years, those who quit saw their risk drop 38 percent compared to those who hadn’t quit. But it took up to 16 years after quitting cold turkey (not cutting down) for former smokers’ cardiovascular disease risk to return to the level of never smokers. ‘For people who have smoked heavily over many years, there could be changes in the heart and lungs that don’t completely normalize,’ Duncan explains. Around a week later, their heart attack risk drops somewhat, because the heart and blood vessels ‘are no longer exposed to chemicals in cigarette smoke that makes platelets more “sticky” and causes unwanted blood clotting,’ Duncan explains. ‘So even for heavy smokers, we cannot overstate the benefits of quitting smoking,’ Duncan says. The next step for Duncan’s research is to take a closer look at how genetics may help predict which former smokers recover more quickly after quitting smoking.